The very best Community Shield tickets 2018 to the best Community Shield football match between two fantastic cup fighters at Wembley Stadium. Last season it was FA Cup winner Arsenal against Premier League champions Chelsea. The 2018 FA Community Shield was formerly known as the Charity Shield. It is the exciting football match that will be played on 5 August 2018 between the winners of the previous season's Premier League and FA Cup competitions Manchester City and Chelsea. Book your Community Shield tickets 2018 securely online through our secure booking system. These two teams played a lot of matches against each other. This time they play for the Community Shield., the traditional opener of a new Premier League season. Manchester City and Chelsea will be determined to give their season a kickstart. The Football Association Community Shield (formerly the Charity Shield) is an English association football trophy contested in an annual match between the champions of the FA Premier League and the winners of the FA Cup. The Charity Shield (Community Shield match) is equivalent to the Super Cups found in many countries. Please, select your Community Shield football tickets for the 2017 match by using the links on this page. We hope you enjoy your experience with 1st4 Football Tickets. In 1898 the Sir Thomas Dewar, London's Sheriff, offered a shield for a match between the best professional side and the best amateur side. The proceeds of this match went to charity. This match was called the Sheriff of London Charity Shield. In 1908 the shield was replaced by the FA Charity Shield. The best amateur side got replaced by the winner of the Southern Football League. The format of this match changed a lot in the early days. FA secretary Ted Croker, is the founder of the current format. He decided the FA Community Shield should be match between the league champions and the FA Cup winners. Croker was also the one to bring this match to Wembley Stadium. This is going to be an all London final. The match will be played at Wembley Stadium West-London team Chelsea and Manchester City. Man City won the Premier League after a very convincing campaign in 2017-2018, breaking several Premier League records and scoring 100 points. Their Community Shield opponents finished on the 5th place with a 30 point gap to Man City. Chelsea made up for this with a good journey in the FA Cup. They were really impressive in the final against Man United. One goal was enough for Antonio Conte’s team to win the trophy. This game is going to be very interesting for the fans. It will be exciting for the fans to see their team after some changes in the team. 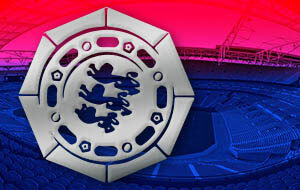 Book your Community Shield tickets and watch the new stars of your team live @ Wembley. Since the FA decided to host the Community Shield at a neutral venue, Wembley Stadium is the place to be. From 1974 until 2000 all Community Shield matches were played at the old Wembley. The final temporarily moved to Millennium Stadium in Cardiff, but since 20107 it's back at the New Wembley. Wembley has a capacity of 90,000 people for a football match. The Stadium is also used for other events like concerts and athletics. Many people consider Wembley as one of the most beautiful football stadiums in the whole world. It’s a must for every football fan to attend a match in this epic stadium.